Twin sets are amongst the hottest trends. I too love twin sets which help me skip finding what would go with my top or pants. They are effortless my lazy outfit. Twins sets can be worn in any occasions. Be it meetings, dinner, party, events etc. Also, I love how twin sets are so versatile. 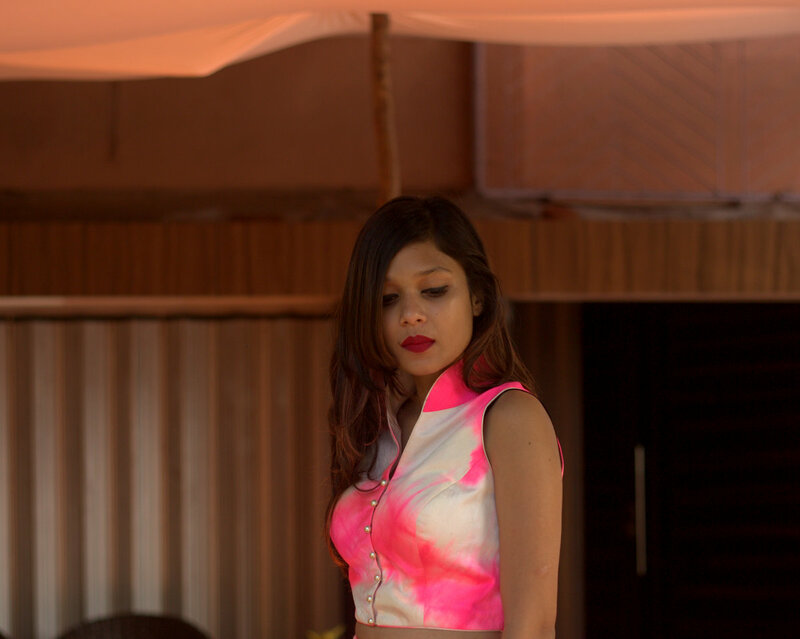 Jorss is a boutique located in Juhu Mumbai and I recently went to their store. They cater to the Indo-Western audience and they had some really statement clothing but what caught my eyes was this twin set. I loved the colour plus TIE-DYE print. Tie-dye print too has been trending since forever and I’ve never worn anything tie-dye in my ootds or blog so I thought this would be making up for it. I loved the flow of the skirt as it gave a chic royal look.